My friends Maria, Daniel and I have this great tradition where we go to Copenhagen for a day. I love Copenhagen but living in London I usually go back to Sweden to see my friends and family so having a day in Copenhagen together with some of those good friend each summer is perfect. We were quite hungry when we arrived so after hitting a few shops we walked to Torvehallerna, the lovely food halls just by Nørrebro Station. 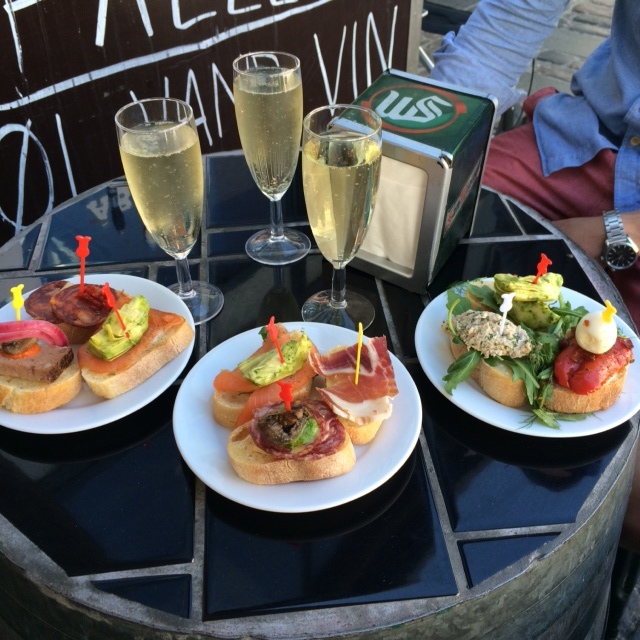 We started with some lovely pinxtos at Tapa del Toro, recommended by a my food blogger friend Helena. It was the perfect way to start the day in Copenhagen; with a glass of cava and Spanish charkuterie. 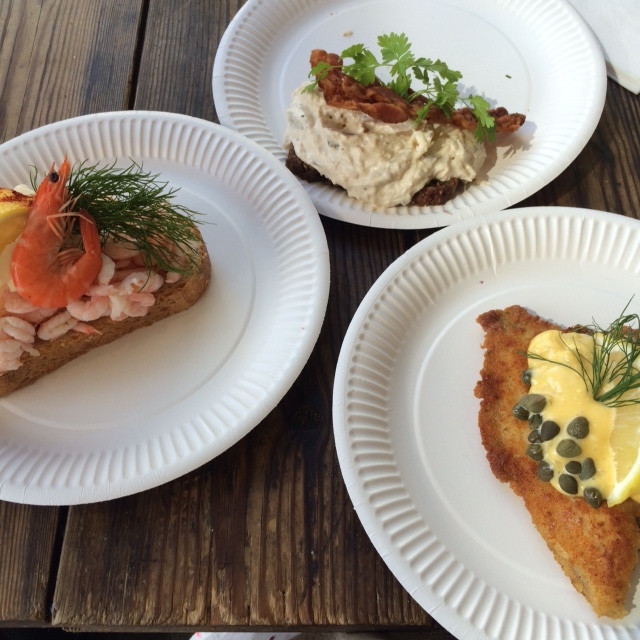 The pinxtos were just the appetisers so we soon moved on to Hallernes Smørrebrød for some traditional Danish open-faced sandwiches. Maria had the prawn sandwich to the left, Daniel the chicken salad with bacon on rye bread and I had the plaice fillet with remoulade. All very good! 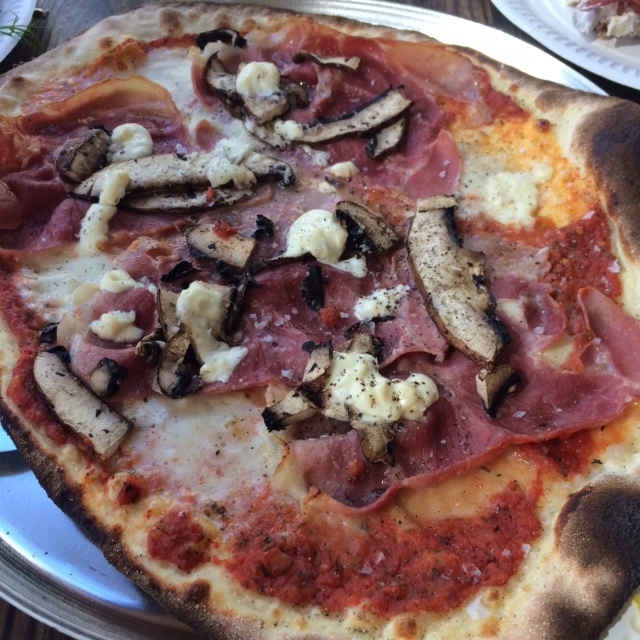 I can’t say that we were still hungry after all this (at least not Maria and I) but the pizzas at Gorm’s Pizza smelled so lovely we couldn’t resist trying one with prosciutto, mascarpone and mushrooms. It was very nice but I sadly only managed one slice. After this carb loaded lunch we had plenty of energy to walk around the city in the sunshine. We walked along the river for a while and ended up in the Botanical Gardens, a lovely oasis on a summer’s day. (The main entrance is actually just by Torvehallerne but we used a different entrance and exited at Nørrebro). We then carried on walking looking in some shops and then stopping for coffee and cake at a bakery I will tell you more about in another post.